← FYE’s Exclusive WWE Wrestling Chocolate Bars! 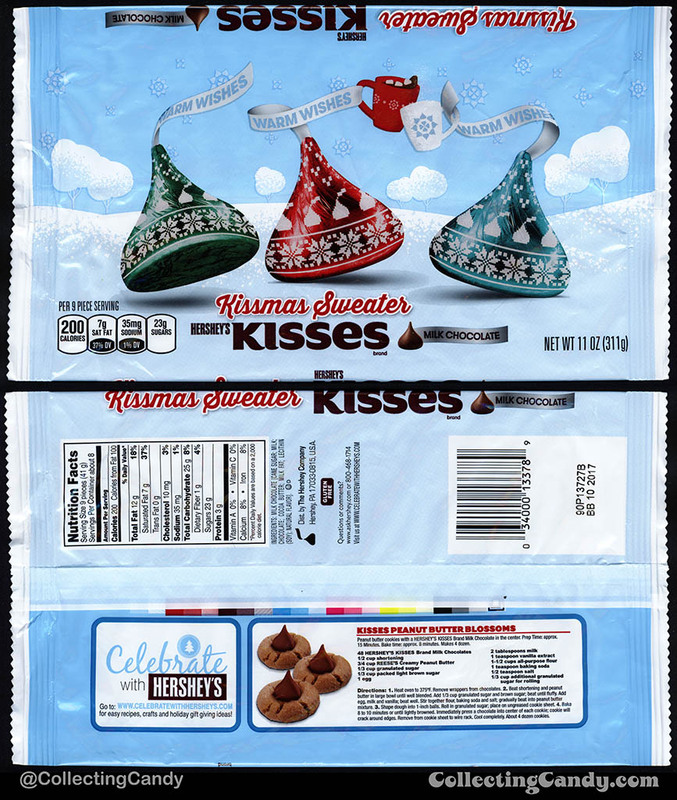 Last year, Hershey’s started having fun with their seasonal Kisses by adding decorative foils to their already bountiful lineup of specialty holiday flavors. 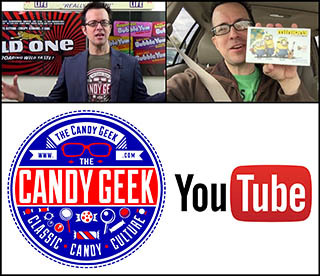 Christmas 2016 saw the release of four different packs, each one exclusive to a different retail chain, making for a fun candy hunt. Make the jump to check them out! 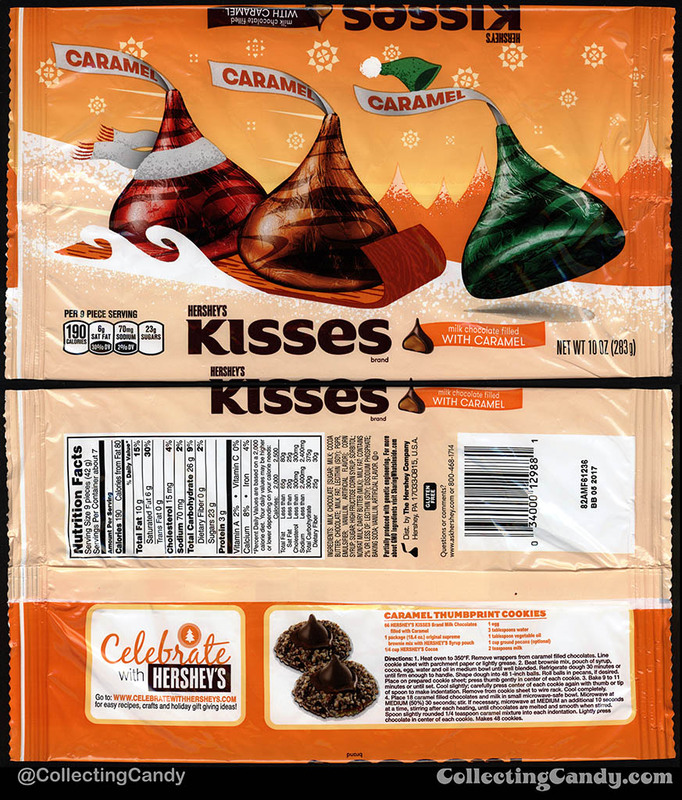 I love specialty flavor seasonal releases of classic products, and over the years Hershey’s has given us a plethora of fun, limited edition Hershey Kisses flavors to sample. 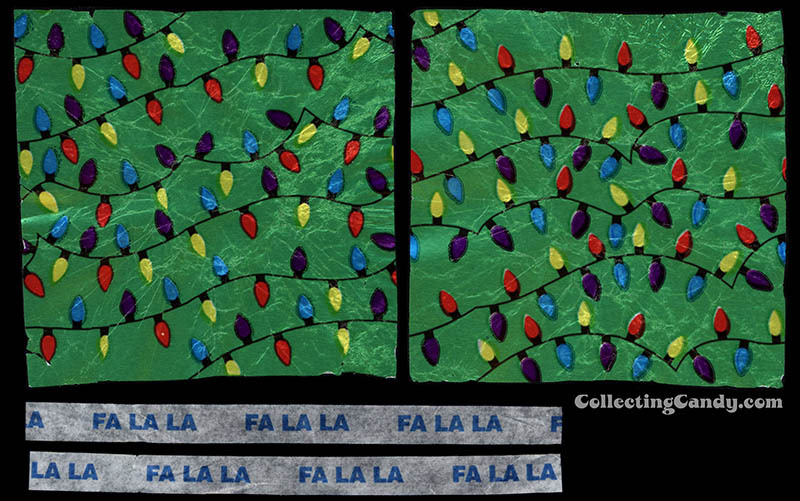 But starting in 2016 (after a Christmas 2015 test run), they’ve added “decorative foils” to their holiday mix. 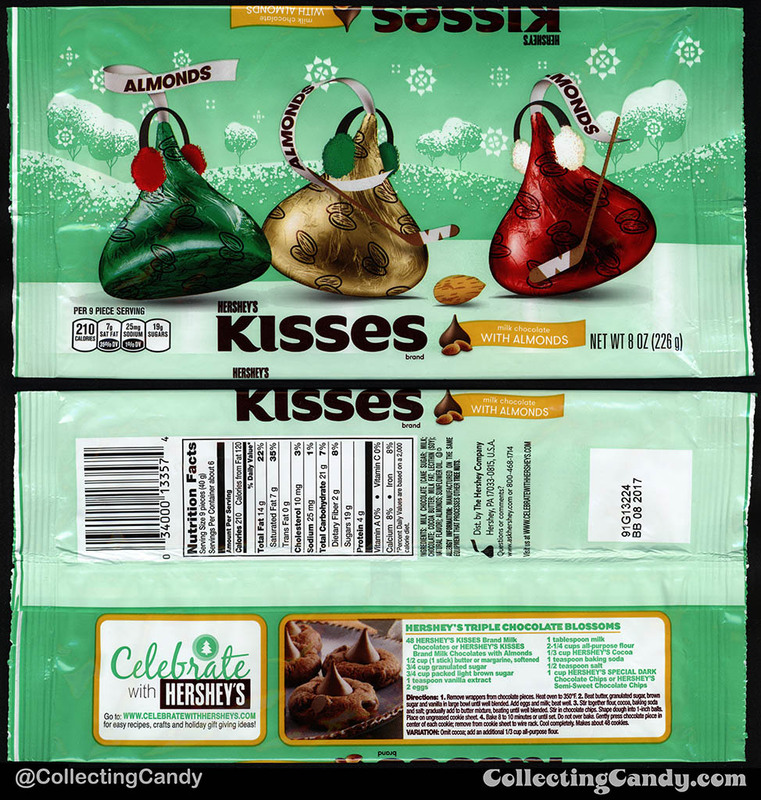 By that, these are classic milk chocolate Hershey Kisses featuring fun, holiday-themed foil wrappers (more than just the holiday colors, which they’ve been doing for decades). I previously covered one of these with their 2016 Halloween “Spooky Kisses” release. 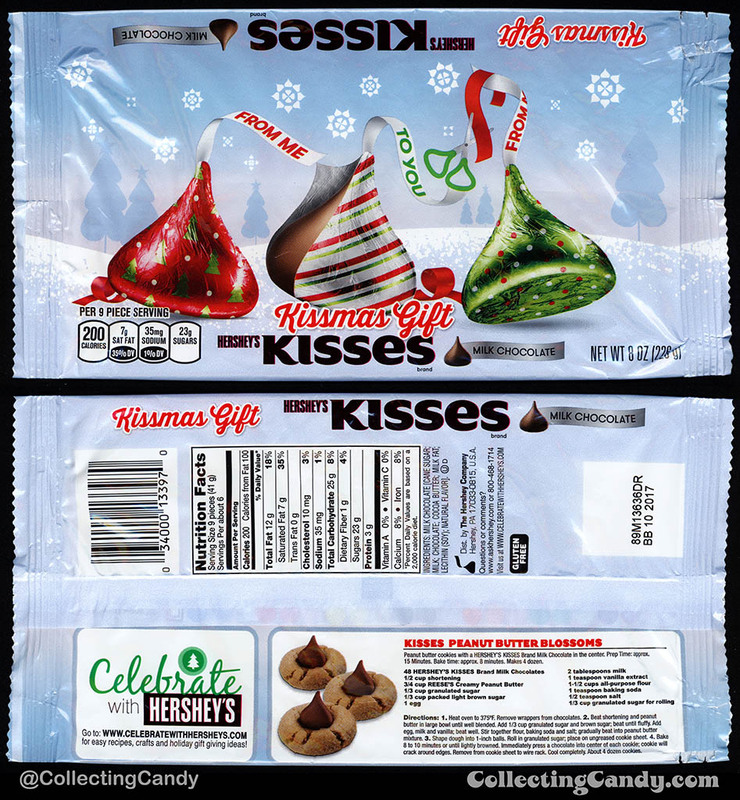 These decorative foils Kisses provide a classic treat with the added fun of seasonally-specific packaging, making for a win-win in my book. 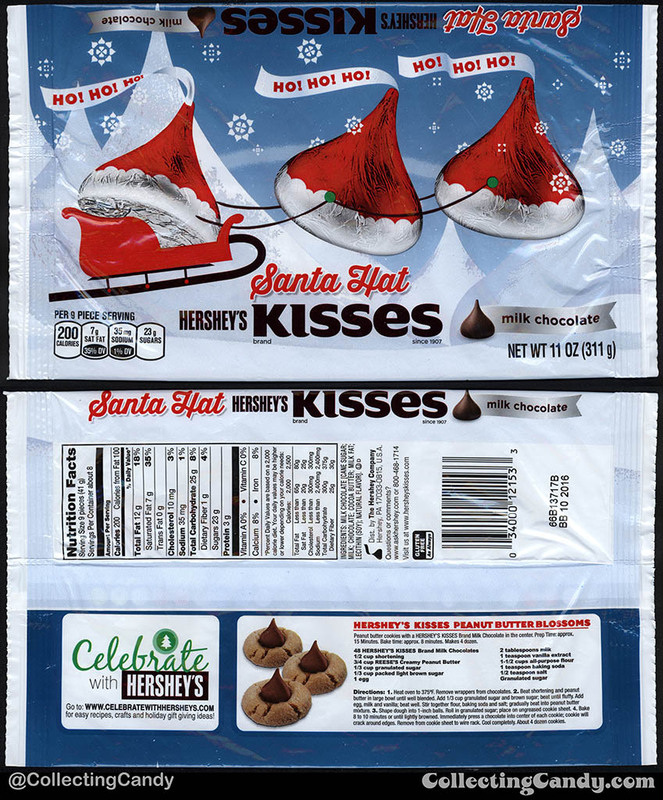 So, after an initial 2015 test run last year where Target received “Santa Hat” Kisses as an exclusive, the 2016 holiday season has three new decorative foil packages landing as retailer exclusives, with the Santa Hat Kisses returning to Target. Let’s check them out! With Target once again getting the Santa Hat Kisses exclusive for 2016, it’s time to move onto the other three retailer exclusives that were available this holiday season. How gorgeous is that package? I love it! And here are the foils and flags! 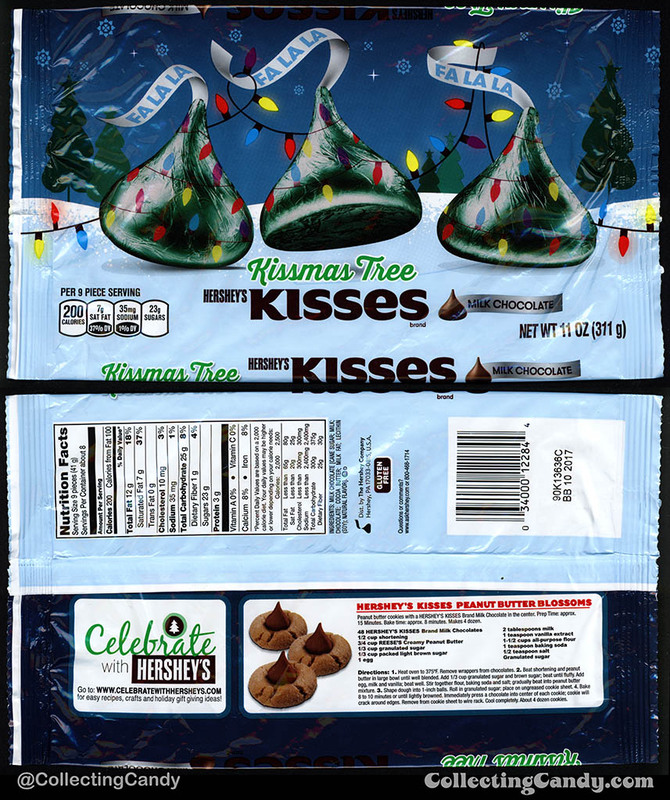 So that’s all of the wonderful new Hershey’s Kisses decorative foil editions for Christmas 2016! 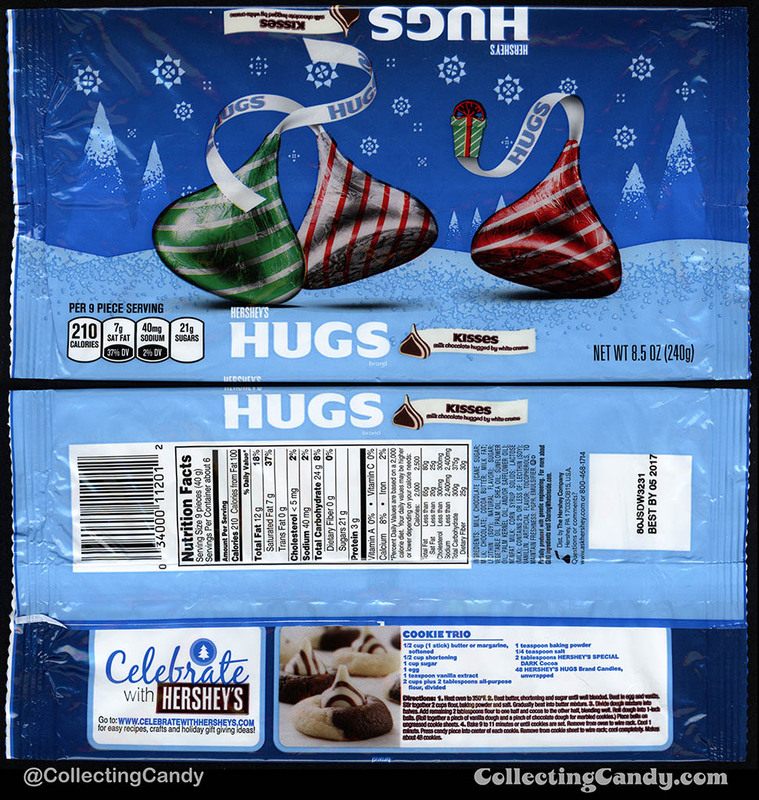 I hope that this new seasonal packaging offering from Hershey’s becomes a holiday tradition for them, and I hope they will find ways to creatively bring us new looks as the years go on. 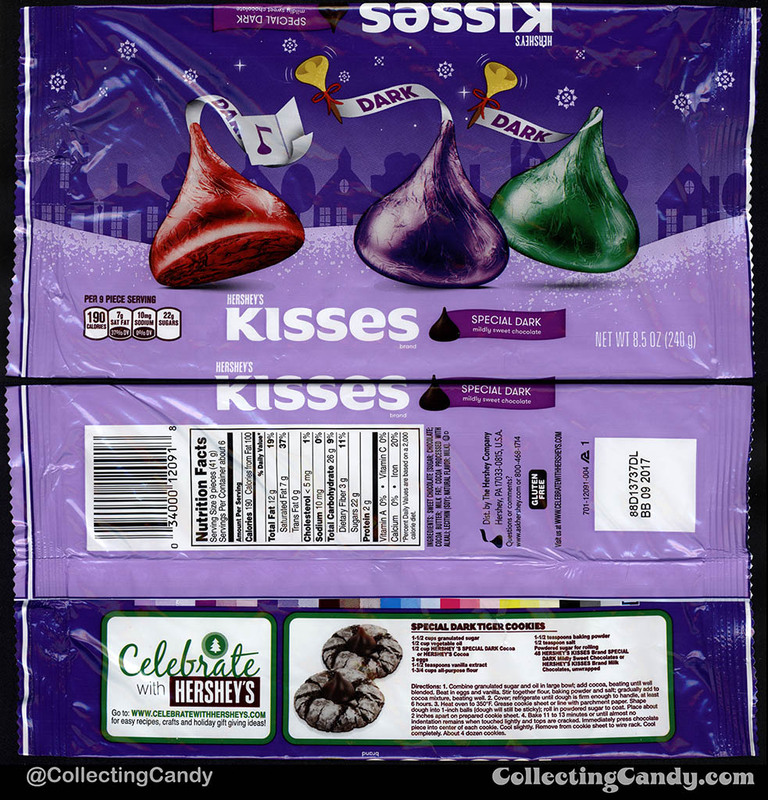 Since the topic is Christmas Kisses, I decided to include a few other holiday Kisses packages I picked up that have more standard holiday foils. So before I wrap up this post, here’s a look at those! 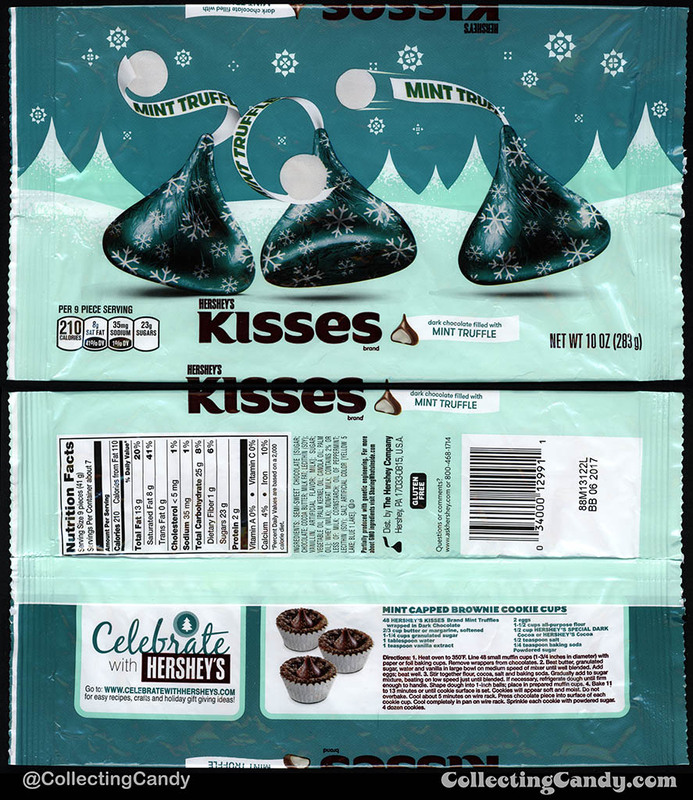 As you can see, there’s no shortage of appealing Hershey’s Kisses product served up specifically for the Christmas holiday season. It’s been a lot of fun tracking them all down and being able to appreciate the packaging and wrappers, but it’s even more fun to unwrap them to enjoy and share. One of my personal favorite things for the holidays are Hershey’s Kisses on peanut butter cookies (aka Hershey’s Peanut Butter Blossoms cookies) – there’s simply nothing better IMO. And with that, I’ll wrap up this after-the-fact holiday post. Happy New Year everyone, I hope 2017 is a wonderful one for you all! See you next time! 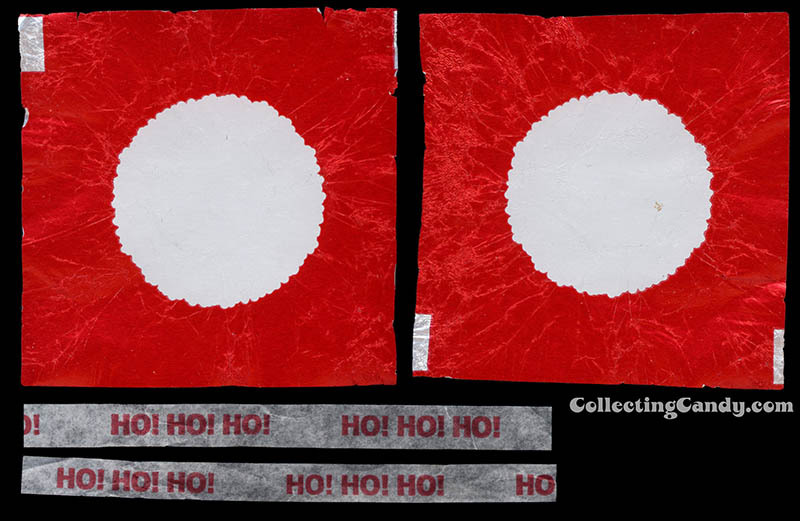 This entry was posted in Chocolate, Christmas, Hershey and tagged candy collecting, candy collection, candy collector, candy wrapper collection, candy wrapper collector, Christmas, Christmas candy, collectible, collecting candy, confectionery, confections, Hershey's, holiday, Kisses, packaging, packaging design, sweets, vintage candy wrappers, wrapper. Bookmark the permalink.